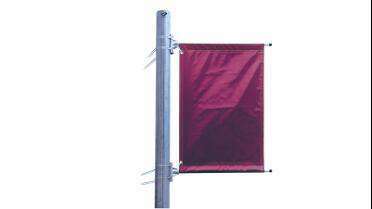 Our least expensive banner bracket system for pole banners that attach to square, round or multi-sided poles. Maximum recommended banner size is 20 square feet (including pole pockets and hems). Pole Kit includes: Two 3/4" fiberglass banner arms/poles, brackets, four 9/16" x 40" stainless steel bands in aluminum mil finish, end caps, zip ties and pin and ring hardware to display one banner. For Double Banner Applications Please order two pole kits. This will give you the necessary components to display two banners on one pole. Note: Stainless steel bands recommended for use only with round poles. 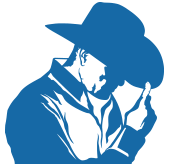 "Use 3M 4941 VHB Tape, Orabond 1397PP Premier, Avery AFB 6111G or BannerUps Pole Tape to make pole-pocket banners without sewing or heat-welding."